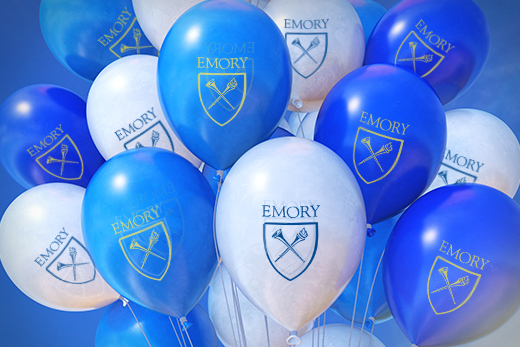 The Emory community is invited to a block party on Thursday, April 21, to thank Emory President James Wagner and his wife, Debbie, for their service to the University. After more than a decade as Emory's president, Wagner announced in September that he will step down at the end of August 2016. The block party offers a chance for students, faculty and staff to celebrate Emory's accomplishments under his leadership before the busy weeks of finals and Commencement. The lunch gathering in Asbury Circle is set for 11:30 a.m. to 1 p.m. with music and free hot dogs, chips, ice cream and Coca-Cola beverages. At the block party, well-wishers can bid goodbye to the Wagners in person and leave written messages on cards that will be assembled into a guest book. The Emory community is also encouraged to share favorite memories or farewell messages online.